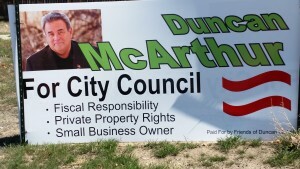 It’s the same-ole, same-old from Council candidates again this year. Who supports all the other folks in town besides business and property owners? Candidates for the contested seats on the Grand Junction City Council are all starting to sound the same. 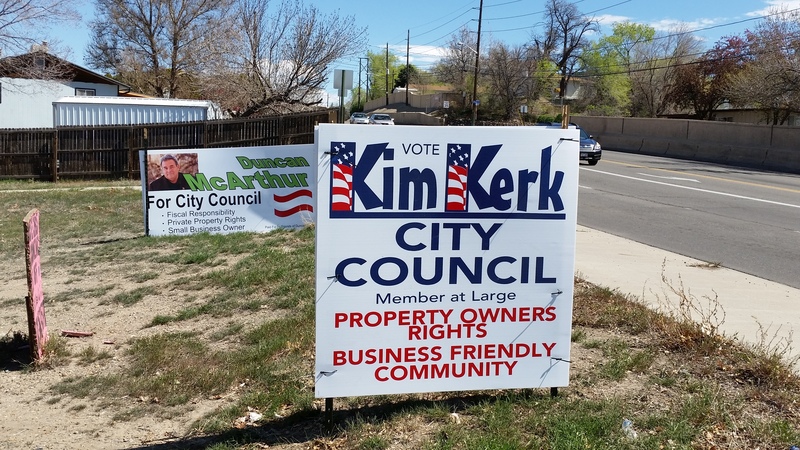 Kim Kerk supports “property owners rights” and a “business friendly community.” Duncan McArthur is for “private property rights” and the “small business owner.” They sound just the same, don’t they? 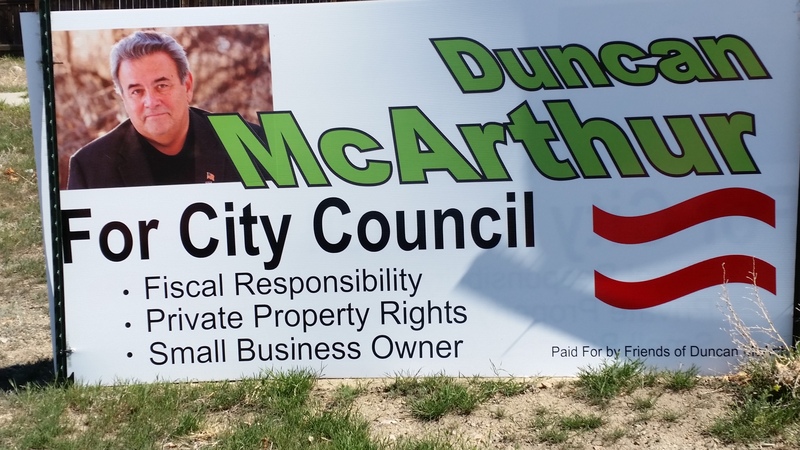 Dennis Simpson says he’s a “fiscal conservative,” and McArthur is for “fiscal responsibility,” but aren’t these the same thing? Basically, it’s code for even more belt-tightening for our community. It’s like listening to a broken record. And it’s folly for voters to listen to them. Business owners and the Grand Junction Area Chamber of Commerce wield outsized influence in Grand Junction, and they’ve shown citizens time and again that believing anything they say or do at election time is completely absurd. 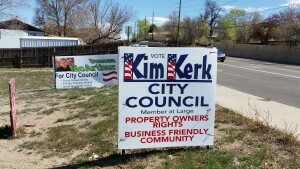 Kim Kerk also supports the same old constituencies: private property owners and business owners. Why don’t the rest of us matter? The chamber portrays itself as the single most important political voice in town because it represents businesses, but only a fraction of area businesses actually belong to the chamber and according to the chamber’s membership list, many of their members are from outside of the area. The “Grand Junction Chamber” has members in Denver, Arvada, Lakewood, Greenwood Village, Centennial, Glenwood Springs, Moab, Utah, Reno, Nevada, Houston, Texas, and even Washington, D.C…. Why should any company based on the front range or another state have any say or lobbying power over Grand Junction’s issues or candidates? What’s more, valuing businesses more highly than ordinary, hard-working city residents has cost this city dearly and set us far behind smaller western slope towns. For years, maybe even decades, Grand Junction citizens have been craving a public recreation center, like the ones the cities of Fruita, Delta, Montrose and Durango have already built for their citizens. Over and over, our City Council has denied residents this same wonderful amenity based on an unproven premise that building such a facility might possibly be detrimental to less than a handful of private businesses in town, like gyms and athletic clubs. A couple of businesses vs. tens of thousands of citizens who could benefit from such a facility. Why are city residents always the losers in this kind of issue? 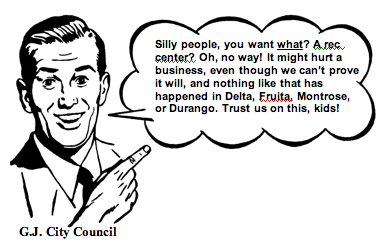 Haven’t Grand Junction residents sacrificed their quality of life on the altar of almighty private business long enough? The chamber promised G.J. voters in 2013 if they voted to zone this parcel by the river to light industrial, Brady Trucking would bring in a slew of $70,000/year jobs, and build trails and landscaping by the river. Voters passed the measure, but today, two years later, the site remains dilapidated, no jobs were ever created and no trails were ever built. Moreover, neither the chamber nor private businesses have proven reliable proponents on issues. The chamber has gone to bat for private businesses at election time before, only to be outed as lying. 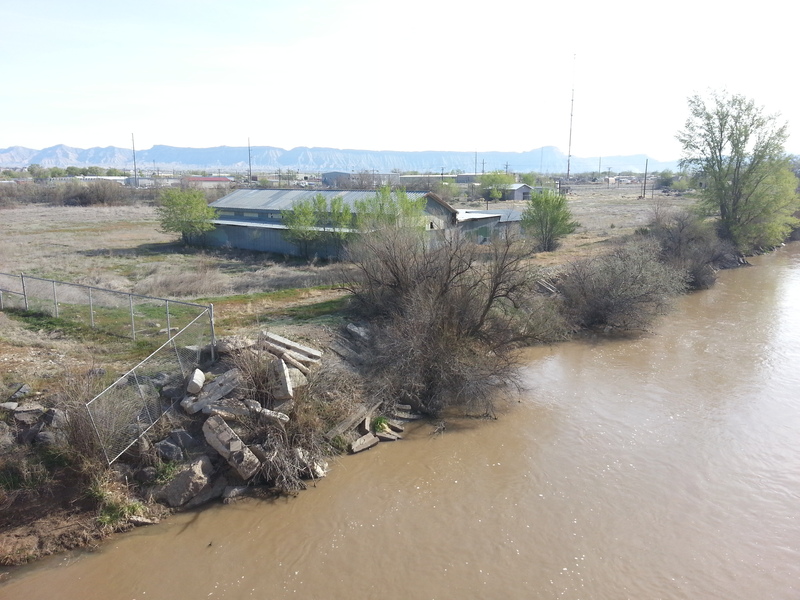 Voters listened to the chamber and duly passed the measure, and now, two years later, the site is still untouched. No trails were ever built, and no additional jobs ever brought to the area. The vaunted chamber, the “voice of business,” spoke and told voters the best thing to do, and it was a lie. 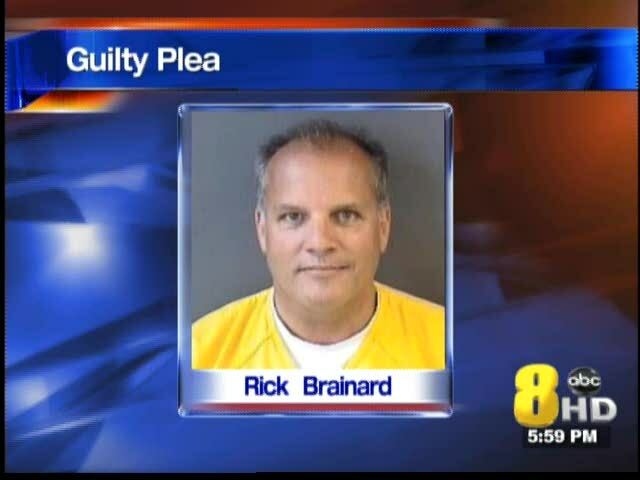 The arrest of Chamber-backed city council candidate Rick Brainard in April, 2013, for beating up his girlfriend, shocked Grand Junction citizens and embarrassed the entire City. Remember the infamous 2013 chamber-backed city council candidate, Rick Brainard, and what a debacle he was to the City? Brainard got arrested four days after being elected and appeared on TV news broadcasts in a yellow jumpsuit. He later pled guilty to assault. After these kinds of terrible candidate endorsements and lies, should voters really listen to the chamber any more about which candidates and issues to back in local elections? The better idea is to listen to the chamber so you can do the opposite of what they recommend. There are plenty of good and important people in Grand Junction besides business and private property owners, yet in every election cycle, council candidates ignore them. What about retirees, students, disabled citizens, people who work for salaries like nonprofit workers, retail workers, landscape workers, day care workers, restaurant workers, teachers, government employees and volunteers, to name a few? Don’t these people matter to candidates and elected officials, once they get into office? Why are none of these groups considered viable constituencies worth pursuing at election time and serving once in office? Arguably, these citizens are the real lifeblood of our area. Not only do they provide important local services, but they earn the money that gets spent at local businesses. Without these people as customers, local businesses would die. But who fights for THEIR best interests? It’s way beyond time for council candidates to acknowledge that there are many voters in town with needs besides private property owners, business owners and people who want more belt-tightening by City Council. There are plenty of business-friendly tightwads on Council already. What we need at long last are candidates who care about average, hard-working Grand Junction residents, many of whom live on the edge, have difficulty feeding their kids, making ends meet and affording medical and dental care. We need council candidates who will vow to support these people’s interests and needs if elected to Council. Now THAT would be one giant breath of fresh air. The Brady property was almost a straight across trade for industrial lands near the freeway until the Chamber got in the way. Mesa County WCC board worked to facilitate a trade, the city was involved and willing to deal, the county was not involved. Brady was willing and reasonable costs were being discussed. Then the Chamber decided to get involved. We ran out of time to work the deal and the public never got a chance to know about the trade. Schwenke and the Chamber literally hijacked the process. Brady has now become a business victim of the Chamber’s poor business understanding called “common sense.” They pushed Brady into thinking the trade was a “private property” issue. Brady would have saved thousands of dollars having quick and immediate access to the freeway, instead of having to thread their way through residential areas to get to the freeway to reach their job sites. When is this county going to figure out that the “Chamber” is not a local advocate? This Chamber is a waste of money for all businesses, even oil and gas as the Brady issue proved.